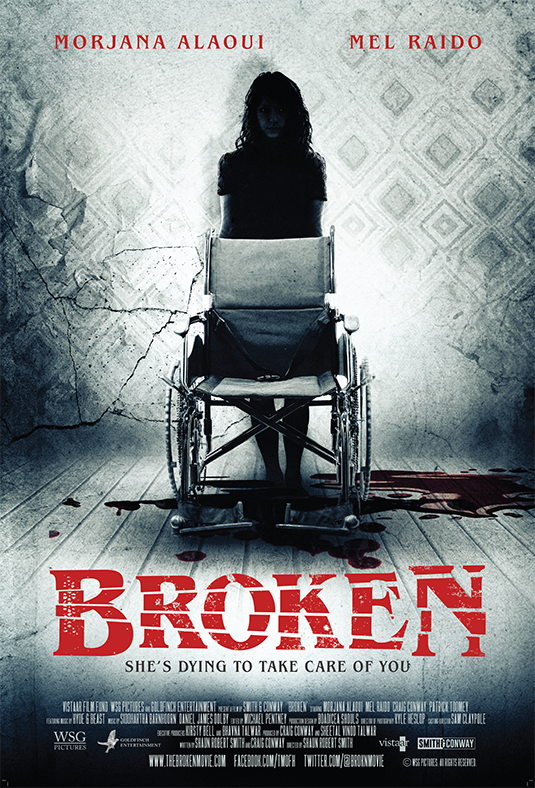 BROKEN is the story Evie, a young woman who wants to start over. Taking a job with a quadriplegic former rock star, Evie finds that her patient can be just a tad difficult. Add in his friends and hangers on the task of caring for him begins to break her. Her boss assures her he will replace her in a few more days...but Evie is beginning to break apart. Beautifully made film is a joy to be hold. Director Shaun Robert Smith has crafted several set pieces that get under your skin and make you feel for our heroine. We know where this is going and why and we completely understand when it all goes to hell why it does. As well made and well acted as the film is I don't particularly like it very much. The problem is that the situation Evie finds herself in is so monstrous and the people around her are so terrible that you really don't want to be around them. Yes Evie is likable but watching her be abused for the better part of 90 minutes is not a particularly fun exercise, even if the end is a karma. I know some people like that sort of thing, figuring that the greater the pain the greater the release when it's pay back time, but it should never have gotten to this point Evie should simply have walked out. This isn't to say BROKEN is a bad film, it's not otherwise I wouldn't have cared. This is more to say this really isn't my cup of tea. BROKEN plays today at 215 pm. For tickets and more information go here.